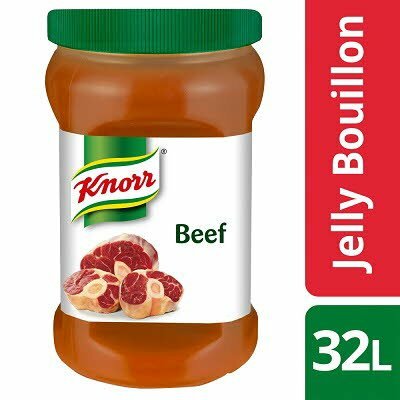 KNORR Jelly Bouillon creates perfect bases and is endorsed by Craft Guild of Chefs. It is a roast beef flavoured bouillon that is lactose free and gluten free. Use our bouillon to refine and season your dishes. As close to scratch as you can get. Concentrated beef bouillon (62%) [water, beef extract], salt, flavourings, yeast extract, onion juice concentrate, gelling agents (xanthan gum, locust bean gum).